Please join us this Sunday, February 3 at 9:40 a.m. to meet the Vestry candidates for 2013, and to hear a presentation on the 2013 budget. There will also be an opportunity to meet the candidates after the 10:45 Service. Not so many years ago, advertising for Vestry candidates began at least by December. Candidate names were announced weeks before the Annual Meeting, and parishioners were provided with a brochure containing names, photos, and biographies to study. At times, we have held a candidate forum at which candidates spoke in support of their candidacy and answered questions from parishioners. This year’s “Vestry Candidate Forum and Budget Presentation” is clearly going to be rather perfunctory. A truly adequate discussion of the budget alone would likely take up considerably more than the allotted hour. Note that we are told only that we will have an opportunity “to meet the Vestry candidates for 2013,” not hear them or quiz them. Why has the schedule slipped so much? The Annual meeting is on February 10, and parishioners have no idea who the candidates are. Very likely, there are only four candidates for four positions, so I suppose it really doesn’t matter, but it certainly doesn’t appear that our church leaders are taking the process of electing what amounts to St. Paul’s’ board of directors very seriously. As I am writing this, it is Thursday. The announced event is on Sunday. Is there a reason the names of the candidates were not announced in today’s newsletter? Do we actually have four candidates yet? Will we by Sunday? 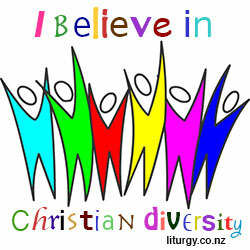 An Anglican priest in Christchurch, New Zealand, has declared January 27, 2013 – February 3, 2013, to be the Week of Prayer for Christian Diversity. This does the well-established Week of Prayer for Christian Unity one better. See details on my blog, Lionel Deimel’s Web Log. I have complained more than once about the stage directions to which worshipers at St. Paul’s are subjected at every service. Lou tells us that we should stand and sing a particular hymn or continue reading at the bottom of a page to which everyone’s prayer book is already turned. These instructions are intended to be helpful and “welcoming.” They are, in fact, annoying, insulting, and distracting. I don’t intend to give a complete defense of this view here, but only to point out how inconsistent the rector’s practice is. We invariably announce the numbers of the hymns we are about to sing, even though those numbers are shown in proper sequence in the bulletin. 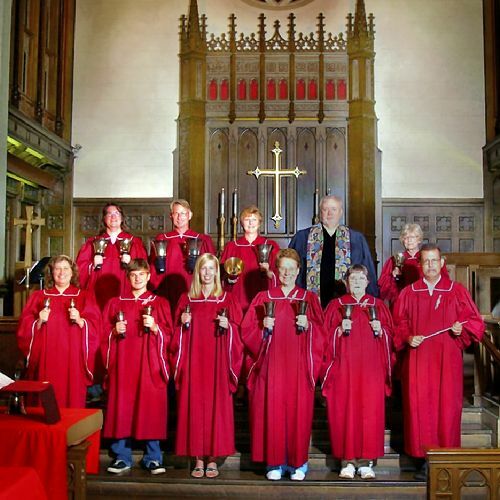 Even someone from a different denomination (or no denomination at all) can probably figure out where to find, say, “Processional Hymn 255,” and at what point in the service it is to be sung. If he or she cannot, saying “we will now sing Hymn number 255” is unlikely to help. What are never announced are the Gloria, the Sanctus, the Memorial Acclamation, and the Great Amen. The first two are in the beginning of the hymnal. An Episcopalian—one coming from a church that actually uses the prayer book rather than PowerPoint slides or a bulletin containing the complete service, anyway—would have no trouble finding them, but a visitor might. (A conscientious visitor would read the explanation under “Worship Materials” in the bulletin and would indeed find these pieces of service music.) The Memorial Acclamation and Great Amen are in the bulletin, of course, but this service music is unique to St. Paul’s and might trip up even an Episcopalian visitor. This is not an argument for announcing more music, but for announcing none of it. Such announcements interrupt the continuity of the service to no good purpose. Moreover, we announce what needs no announcing and say nothing of the music most likely to trip up a visitor. How sensible is that? It was cold this morning when I left for church. When I arrived, I took off my parka and placed it on a hanger in the cloakroom off the undercroft. The cloakroom is a truly unwelcoming place. 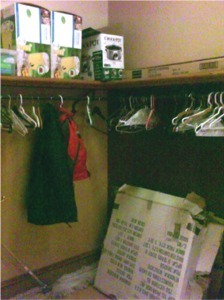 The overhead light was switched off, the shelf, which should be available for hats, books, or packages that people may have brought with them, was largely being used for storage space. Even much of the area below the coat rack was taken up with a miscellaneous collection of stuff that, apparently, no one could find a better place for. The state of our cloakroom is usually, as it was today, a disgrace. Can we not do a better job of providing a convenient and pleasant place for visitors to hang their coats and park their hats and other belongings? (Sorry for the poor quality of the picture. Progressive Episcopalians of Pittsburgh, an organization as important as Calvary Church in resisting the program of our former bishop, Bob Duncan, and helping put the diocese back together after the schism of 2008, is refocusing its energies. 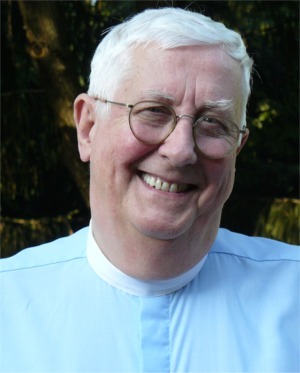 In the new, friendlier environment we have under Bishop Dorsey McConnell, PEP will strive to increase understanding and tolerance among Pittsburgh Episcopalians holding diverse viewpoints, while advocating for justice and inclusion in our diocese and region. Inviting speakers to PEP events will be a major part of this initiative. Progressive Episcopalians easily fall into the habit of thinking of their conservative brothers and sisters as a single, coherent group. Conservatives, however, are more discriminating, making distinctions among themselves. If progressives want to conduct meaningful dialogue with church conservatives, it will be useful to understand both the differences and commonalities among them. The Rev. Dr. Philip Wainwright, a self-described conservative, will help his listeners distinguish one conservative group from another. Our speaker has a reputation as an excellent lecturer, and I urge anyone who is concerned about the need to build community—bridges, as our bishop suggested at his consecration—in this diocese to join us for his talk. Additional information about the February 11 event can be found in this flyer. Please make others aware of of the Rev. Dr. Wainwright’s talk and plan to join us at the next PEP meeting. Readers may be interesting in the post on my other blog titled “Days for Baptisms.” I have complained in the past about our conducting baptisms at just any service, rather than saving them for the special occasions listed the prayer book. In “Days for Baptisms,” I offer a perhaps unusual reason for adhering to the prayer book suggestions. That said, my own poll of priests I know, both in the U.S. and elsewhere, suggests that, in practice, the convenience of the family tends to trump the prayer book suggestions. Thus, although I would like to see St. Paul’s restrict baptism dates more than it does, our church is in good company. Today’s Post-Gazette carried a story titled “Hand bell ensembles get ringing endorsement from members.” Although the article is not primarily about St. Paul’s, our handbell choir is mentioned, and Bryan Sable, its conductor, is quoted.